Congratulations to our newest QuiBidder of the Week, Shanon G.! 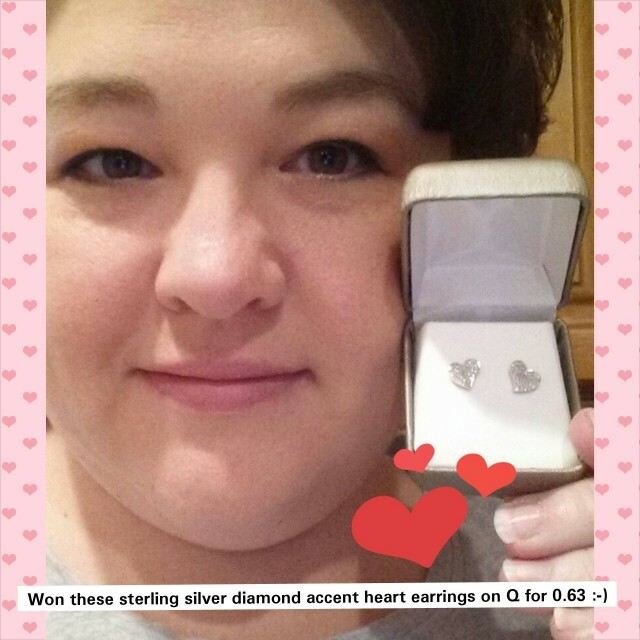 She won these beautiful sterling silver diamond accent heart earrings for $0.63! Check out our Facebook page to see more happy customers sharing their QuiBids wins. Shanon won a 2X Gameplay and 100 Top QuiBidders Points for sharing her experiences with this win. Share your QuiBids wins on our Facebook page and you could be next! Go here to learn more. See what’s coming up for auction now!